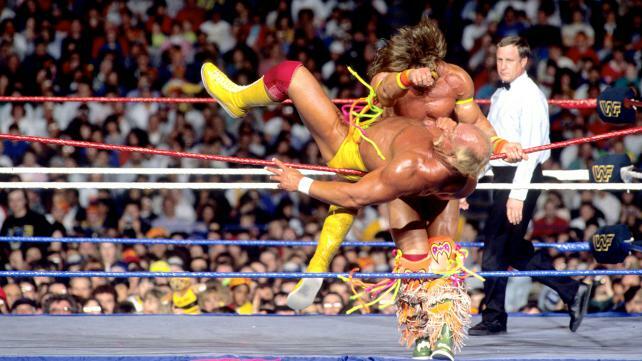 If you recall the piece I wrote about last year’s Ultimate Warrior release, The Ultimate Collection (read it if you haven’t), you may recall me making mention that you could count the number of great Warrior matches on one hand. And yet with the new Warrior release from WWE Home Video (titled Ultimate Warrior: Always Believe and set to arrive April 14th), we get another set jam-packed with matches and promos, which serve as extras to the main feature, a special documentary about the Warrior featuring his surviving widow, Dana, and two daughters. The new Warrior retrospective will be released on DVD and Blu-ray formats and include the following bonus matches and promos.